Symantec and Check Point Software are among the technology stocks with the most upside potential. Data breaches have unfortunately become a fact of digital life and it appears they're only getting bigger. In early September, Equifax (NYSE:EFX) revealed that hackers had gained access to the personal information of 143 million U.S. consumers after exploiting a vulnerability on its website. That means that personal data had been stolen on nearly half of the entire U.S. population! The following month, Verizon (NYSE: VZ) reported that the 2013 data breach of its Yahoo business (which it acquired in June) had actually affected all 3 billion of its accounts. Yahoo had previously estimated in December that the hack only affected 1 billion accounts. As a result of these revelations, the Senate Commerce Committee held a hearing on consumer data security yesterday. Among those who testified included interim CEO of Equifax, Paulino do Rego Barros Jr., previous CEO Richard Smith, and former Yahoo CEO Marissa Mayer. It was disturbing to hear in yesterday's hearing that Mayer did not have additional information to share other than that Yahoo was hacked. She said that they still have not been able to identify the intrusion that led to the theft. Mayer also disclosed that Yahoo was not even aware of the cyber attack until nearly three years later in November 2016. After hearing this, Senator Ben Nelson went on to say that "rigorous" data security rules must be implemented. Nelson further explained that stiffer enforcement and stringent penalties are the only way to incentivize companies to properly protect consumer information. Mayer even compared the fight with hackers to an arms race. Cybersecurity companies are best positioned to benefit from increased public awareness of data breaches. Whether legislation is passed or not, companies (as well as individuals) will likely commit additional resources in order to protect their data. The simple truth is that potential hackings are now a growing concern in our everyday digital life. The recently launched Ideas Page at finbox.io tracks trending ideas like stocks that keep you safe in an increasingly connected world. It also tracks over 40 investor portfolios from illustrious managers such as Bill Ackman, David Tepper, Steven Cohen and more. 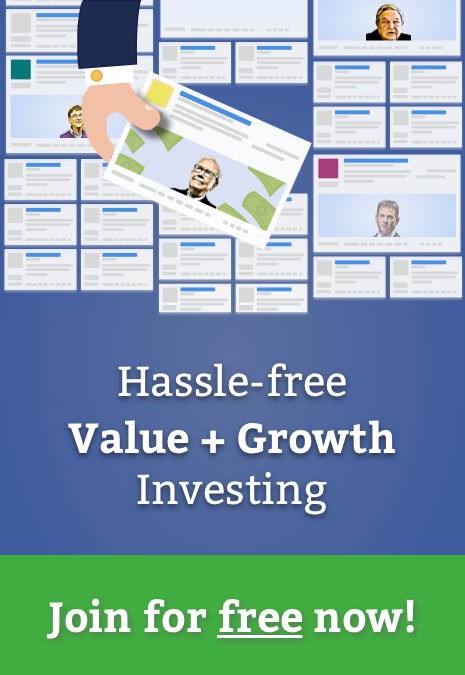 I used the former to help find technology security stocks that are also trading below their intrinsic value. I determined which stocks are trading below their intrinsic value by averaging finbox.io's Fair Value estimate and the consensus 1-year price target from Wall Street analysts. Here are the 8 most undervalued stocks that will help keep your data safe. The KEYW Holding Corporation (NasdaqGS: KEYW) provides technology solutions to support the collection, processing, analysis, and dissemination of information across the intelligence, cyber, and counterterrorism communities. Its solutions are designed to respond to meet the critical needs for agile intelligence and to assist the U.S. government national security priorities through various cyber operations. The company serves the U.S. federal, state, and local law enforcement agencies; foreign governments; and other entities in the cyber and counterterrorism markets. The company was founded in 2008 and is based in Hanover, Maryland. Shares of the company dropped over 35% after reporting earnings and revenues that missed analyst estimates on November 2nd. However, this could be an entry point opportunity as insiders have started buying shares. KEYW has approximately 80% upside as calculated from finbox.io and Wall Street price targets. Zix Corporation (NasdaqGS: ZIXI) provides email encryption, data loss prevention, and Bring-Your-Own-Device security solutions to the healthcare, financial services, insurance, and government sectors in the United States. The company's Zix Email Encryption allows an enterprise to use policy-driven rules to determine email messages that should be sent securely to comply with regulations or company-defined policies. The company was formerly known as ZixIt Corporation and changed its name to Zix Corporation in 2002. Zix Corporation was founded in 1983 and is headquartered in Dallas, Texas. Zix Corp's shares last traded at $4.69 as of Wednesday, November 8th, down -16% over the last month but up 41% over the last three years. 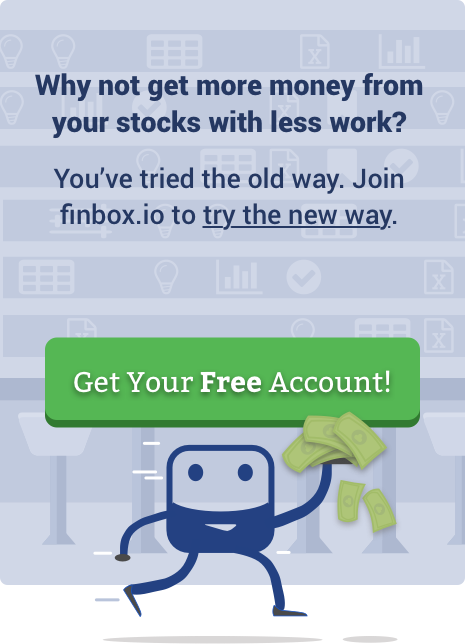 Finbox.io's intrinsic value estimate implies that the stock trades near its fair value while the average estimate from three Wall Street analysts implies 16% upside. Symantec Corporation (NasdaqGS: SYMC) provides cybersecurity solutions worldwide. It operates through two segments, Consumer Digital Safety and Enterprise Security. Through its Consumer Digital Safety segment, the Symantec provides Norton-branded services that provide multi-layer security across desktop and mobile operating systems, public Wi-Fi connections, and home networks to defend against online threats. This segment also offers LifeLock-branded identity protection services, such as identifying and notifying users of identity-related theft. Symantec Corporation was founded in 1982 and is headquartered in Mountain View, California. Symantec's stock traded at $29.05 as of Wednesday, up more than 50% since November 2014. Even after this healthy run-up, the blended upside from finbox.io and 25 Wall Street analysts implies the stock is still 14% undervalued. Barracuda Networks, Inc. (NYSE: CUDA) designs and delivers security and data protection solutions. The company offers cloud-enabled solutions that help customers address security threats, enhance network performance, and protect and store their data. The technology company also provides various security solutions for email security that offers protection against email-based attacks, data loss, and business disruption. The company sells its services to education, government, financial services, healthcare, telecommunications, retail, and manufacturing industries. Barracuda Networks, Inc. was founded in 2003 and is headquartered in Campbell, California. Barracuda Networks has disappointed investors, losing 30% of its value over the last three years. Finbox.io's nine cash flow models offer a wide fair value range ($14.69 - $36.37), the average estimate from 14 analysts of $28.71 implies the stock is 29% undervalued. Imperva, Inc. (NasdaqGS:IMPV) engages in the development, sale, and support of cyber security solutions that protect business-critical data and applications in the cloud or on-premises worldwide. The company offers its products and services to banks, retailers, insurers, telecommunication companies, hospitals, and government agencies through a network of distributors and resellers. Imperva was founded in 2002 and is headquartered in Redwood Shores, California. Imperva's stock has been highly volatile since 2015 trading as high as $76 per share and as low as $33 per share. Again, Wall Street analysts are highly bullish on this cyber security stock. The consensus price target from 13 Wall Street analysts of $52.38 implies 23% upside. Check Point Software Technologies Ltd. (NasdaqGS:CHKP) provides hardware and software products and services for IT security worldwide. The company offers a portfolio of network security, endpoint security, data security, and management solutions. It sells its products and services to enterprises, service providers, small and medium-sized businesses, and consumers. Check Point Software was founded in 1993 and is headquartered in Tel Aviv, Israel. Checkpoint shares have jumped 40% since October 2016 but have recently come under pressure after management offered mixed guidance on its latest earnings call. However, this could provide investors an entry point as our nine valuation analyses imply that the stock is 13% undervalued. FireEye, Inc. (NasdaqGS:FEYE) provides cybersecurity solutions that allow organizations to prepare for, prevent, respond to, and remediate cyber-attacks. The company serves telecommunications providers, financial services entities, internet search engines, social networking sites, stock exchanges, electrical grid operators, networking vendors, oil and gas companies, healthcare companies, and governmental agencies. The company was formerly known as NetForts, Inc. and changed its name to FireEye in September 2005. FireEye was founded in 2004 and is headquartered in Milpitas, California. The blended upside from finbox.io and 22 Wall Street analysts implies the stock is 8% undervalued. A10 Networks, Inc. (NYSE:ATEN) provides software and hardware solutions worldwide. As part of its services, the company provides threat protection systems for networks and server resources against cyber attacks. Its solutions enable cloud providers, web-based companies, government organizations, and enterprises to secure their user's data against network threats. A10 Networks, Inc. was incorporated in 2004 and is headquartered in San Jose, California. A10 Networks' shares last traded at $7.36 as of Wednesday, approximately 73.4% of its 52 week high. The stock is up 75% over the prior three years and up 10% in the last three months. In conclusion, the table below ranks all eight stocks by their blended upside. Investors may want to take a closer look at the eight technology stocks mentioned above.